Georgia Carter provided the program for the Carrollton Kiwanis Club on Friday, January 18, 2019 at Sunset Hills Country Club. Georgia is serving her third term which expires on September 30, 2019 as Trustee on the Georgia District Foundation Board. 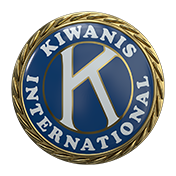 Kiwanis President Terry Langley presents the coveted Kiwanis mug to District Foundation Trustee Georgia Carter.